The kit supplies reagent for staining with acid Orcein to highlight elastic fibers. 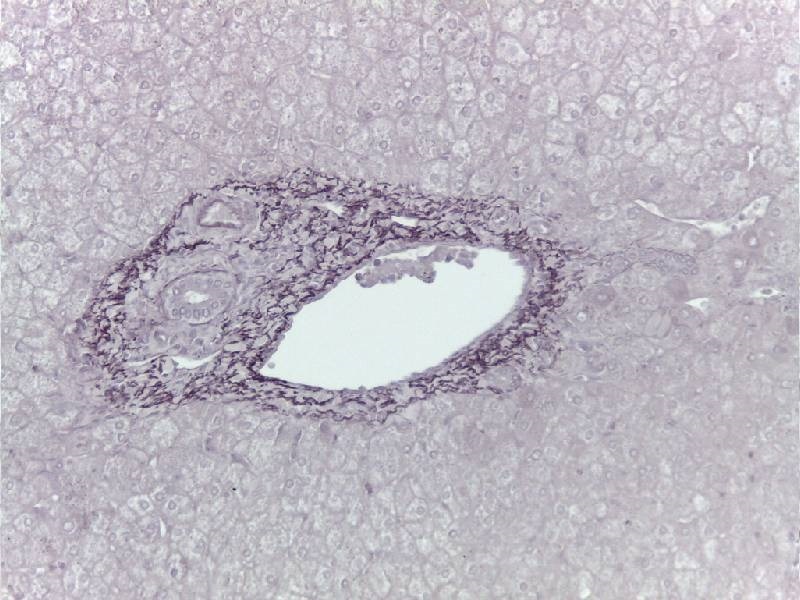 Used for the detection of Austaralia Antigen (HBsAg), specific for hepatitis B virus: in this case follow immunohistochemical analysis. Elastic fibers are stained by different special stain, Orcein is a simple solution.